Idle rollers with grooves made directly on the steel tube are intended for round belts transmission as a very simple and economical solution. The belts should have a section of Ø 4-5 mm or max. Ø 8 mm. 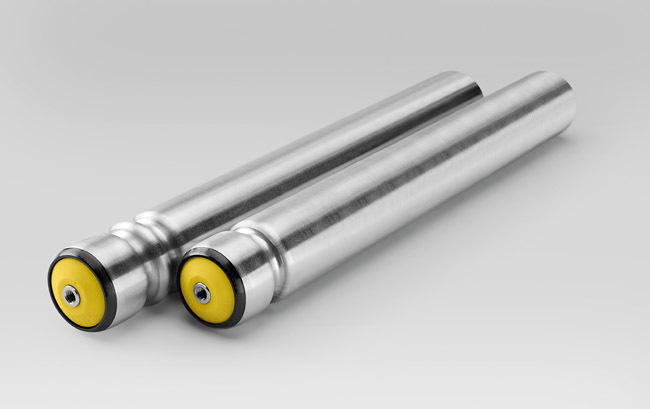 Rollers may be “GL, GM and 117” series in execution “E” (1 groove) or in execution “F” (2 grooves), with standard steel tube “N”, with electrolytic zinc-plating “J” and “Z” or PVC coating “P”.